So as a local business how do you get more customers (and keep them). Here I have listed 10 ways that most businesses can apply. Nowadays your online efforts will be imperative to get more customers which I will cover in more detail in number 10. Other more traditional methods are beneficial to growing your business and building up a client base and there are also new methods to use which I will give a mention to. 1. Have a clearly defined brand identity. You will need to know who you are, what problem you are solving and how you will deliver your solutions to your customers. There are some important questions you should be asking about your brand which I recently sent out as part of an email list but you can download them directly here. 2. Focus on building relationships. This can be seen as a general rule in life but it is also vital to business. You don’t want customers to use your services just once. You want them coming back and then spreading the word because they now have a positive experience of your services. You never know where just one business relationship might lead. I have had one particular client for nearly a year now and that connection came through another customer. Now that one client keeps using my services but also refers other work my way. Ensure also these relationships are not shallow and are only to gain something. Value business relationships just as you would any other. 3. Be prepared to give a freebie or offer. This may not always apply but if you are just starting out and your looking to build a portfolio, be ready to give a service or product away for free or at a reduced rate. You will sometimes need to take this risk but you never know where this might lead to. This can apply closely with no.2 as what work comes from first offering your services as a freebie or reduced rate you never can tell. Make sure however you treat these particular jobs with the same importance, your reputation will go before you. Do a mates rate to begin but do a pro’s job. This can apply specifically for helping charities, which can be rewarding to be involved with within itself. 4. Don’t undervalue yourself. A bit of a contrast it may seem to number 3. But that will only apply in selective cases. The majority of your work will be of the highest standard I’m sure – when it comes to both your craftsmanship and service. Like me, you love what you do and want to get it right so therefore as the saying goes “you get what you pay for”. When people pay more you are more valued as a business. You can be free to do your job to the best of your ability. When a skill and job is undervalued you may feel you can’t give 100%. 5. Connect with appropriate affiliations. For certain trades and professions having a connection to a specific affiliation can be very beneficial as they may act as a source for people to find you online. Some examples are Check a Trade and Rated People. They can give customers the opportunity to give feedback on the services that they have received from you, you will then have a rating which will be ongoing. I have had one customer say that having such a logo next to his own on his van is a sure way to get business. 6. Be perfect in your service. What do I mean with this one? – Well its about aiming high. I am sure we all might miss the mark when it comes to perfection but we can certainly aim to provide the very best service we can. Being open and honest with our customers will pay off. No hidden costs or fees and all that biz. No rushing through a job so we can move on to the next, and when we have done a good job you can ask for feedback or a review because you know it will be a good one. You can then post this on your website, google page or Check a trade page as mentioned for all to see. A testimony and review can go a long way to gaining more customers. 7. Word of Mouth. This one may take a bit more time when starting out in business but is a positive way to get more clients. When one person has had great results from your service they will tell others. Where this is really beneficial is that it helps your potential clients choose you above your competitors. Sometimes it’s hard to make that decision and get things moving which can be purely down to trust, so a plug from a previous client can seal the deal. 8. Networking events. You may have to do some research around this one and see what’s available and whether the events cater for your profession. You need to define what the profile is of your ideal customer, then ensure the events will be targeting the same sort of people. There maybe some cost involved but the potential leads can far out way these costs. The presentation of your business will be vital if you choose this option. 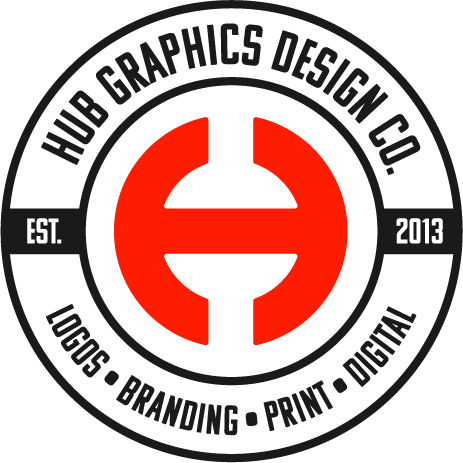 You may need banners, business cards and flyers which Hub Graphics can help you with. Gets the face of your business in front of people quickly. Can potentially reach 100’s of households. If your visual representation stands out people will remember you. Can be costly for little returns. Lots of competitors in the same or similar services. Difficult to target the right people. These things must be considered before taking the next step as the type of advertising may differ according to your location. Where I live there are different methods of printed advertising. Small A5 magazines are distributed into every household within different areas. Lots of businesses can use adverts to reach potential customers. The way I see advertising moving forward though is that it is becoming more digital, the costs are lower, you can track leads, use social media to promote offers, get your adverts in front of the right audience. You may ask what does this look like? Screensocial is one company leading the way in regards to digital advertising. Their digital screens are placed in various locations helping local businesses reach the right customers. You can set yourself a budget, specify locations within your area and share your latest social media feeds in real time. To express your interest please complete the form on their website for more information. A Self-hosted website with custom domain and email address. Popular hosting companies include, Hostgator, Bluehost or for a uk based company 123reg. You can check out more details about these on my blog post 25 WordPress Resources for bloggers. Another point to be raised here is the type of website or blog you will have. I highly recommend going to WordPress. With each of the hosting companies I mentioned WordPress can be set up with just a few clicks of your mouse, sweet! Not only that but setting up and managing the website will be straight forward. Social media page(s) you don’t need them all but some will benefit you more than others, eg Twitter is more b2b focused. When managing your social pages properly you can see increased traffic to your website and therefore your conversions and customer base can grow. People will share, like and follow you and get the word out you exist. On your website you will want follow and share buttons so people can do all this. Email marketing, to inform your customers of offers, news and updates in regards to your business. If your are building a blog you can get people to sign up to receive your latest posts. You can create sales funnels for products and services you might be selling. SEO (Search Engine optimization) – It can be a minefield I know, just the term puts a lot of people off, but having an SEO plan will benefit you in the long run. You don’t have to spend loads to make some progress with search engine rankings but its a beneficial way for your website to up its game. PPC (Pay per click) – Not everyone’s cup of tea. I have never gone down this route myself but for some trades and local services this is exactly where the biz is at. You can see great returns when it comes to PPC, you will need to open your wallet for this one but the returns can out-way what you may spend. I am no expert when it comes to this one so do your research. I hope this info has helped you in moving your business forward. If your starting from scratch then please sign up to my Email series which can help you with your business endeavors. When you sign-up you will receive my FREE cheat sheet – 5 Essential Elements of your Brand. If you have any further advice for individuals starting out in business and how to get more customers then please share your awesome knowledge in the comments below.